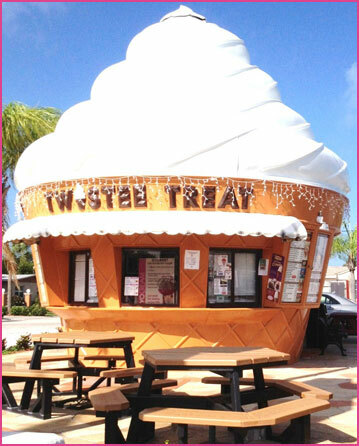 Twistee Treat is a unique Ice cream shop that is a landmark on St. Pete Beach, Florida. 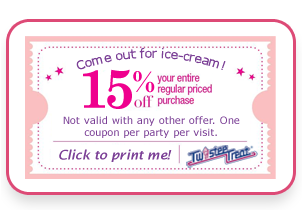 We specialize in old fashioned soft serve ice cream, yogurt, Italian ice and other tasty treats. We also feature hand dipped ice cream and sugar free, fat free ice cream. Choose from over 66 mouthwatering flavors and a delectable assortment of candy toppings, ultra-creamy milkshakes, super sundaes, and more! Come enjoy our pure, homemade ice cream, voted “Best Ice Cream on the Beach” or choose from over 100 items on Our Menu, including old fashioned funnel cakes, hot dogs, homemade pretzels, and more. Located directly on Gulf Boulevard, we are a short drive from St. Petersburg, Sunset Beach, Treasure Island, Madeira Beach, and Pass-A-Grille. We are looking for dedicated and hard-working crew members! Got what it takes? Send us your resume!